One of the most important factors and problems for those with curly hair is DEFINITION, how to get it, how to maintain it and what products create it? Over the past 5 years of transitioning & living with 100% natural and healthy hair, I have tried so many techniques and products but always go back to the 1 combination and technique that is always guaranteed to give me the best results! Thank God for the natural hair movement! Now we have access to some of the best products formulated especially for curly hair and tools that help to maintain it. So how do I get long lasting curl definition? Below are the steps I take to get perfect curls every time! *Warning* this does take practice, persistence & patience (PPP!). Water, yes water is probably the most important part of this routine of mine. I have to style my hair whilst it is SOAKING/DRIPPING wet, any dampness or dry sections will begin to frizz up and won’t soak up product well, bare in mind I am low porosity. Styling when your hair is wet allows for you to glide the product easier through each curl, flexibility to define the curly before it drys in place. Once product has been applied, be sure not to touch your curls until they are 100% dry. The right products! Now I have 2 staples I like to layer on top of each other for this routine, weirdly enough they are from 2 different brands but I am yet to find a better match for my hair. This is my ‘curl primer’ it’s the first product I apply with a palm sized amount to each section. The leave-in is mainly for moisture and prepping the hair for my next product, which locks in the moisture and helps to form the perfect curls! THIS RIGHT HERE my baby! I love this product so much and it honestly is the only product that will seal in moisture and create definition with no crunch, white bits or frizz. Now I apply this GENEROUSLY and I mean so much that my hands slip through the hair, product flies all over the place and you can see the white product on my hair.. yep it;s that serious. I recommend the litre bottle as you can distribute with more control (1 pump per section) and it lasts for soooo long. Air drying! I believe air drying is better than diffusing the hair (however this is because I personally haven’t perfected how to dry hair perfectly and I try to stay away from any type of heat). When you air dry, depending on your hair type it may take a while (couple of hours - to half a day!). But leaving the curls to dry naturally and not touching your hair during the process will allow them to form with no frizz. If you refuse to air dry, I would only recommend the Dyson Supersonic hairdryer, my hairdressers use it for drying my curls and it is well respected in the natural hair community! Now that you have your curls defined and in tip top condition, you next concern may be maintaining the definition for another few days.. So how do you do this? It was a mystery to me for years until I discovered SATIN! My hair changed so much thanks to this magic fabric that I ended up starting my own business creating accessories made from satin! Sleeping on a satin pillowcase will not only prevent frizz but it will keep the moisture in your hair and keep your curls defined (especially when sleeping in the pineapple style). You will be able to take down the pineapple on day 2 and simply fluff it out with your curls still in definition! 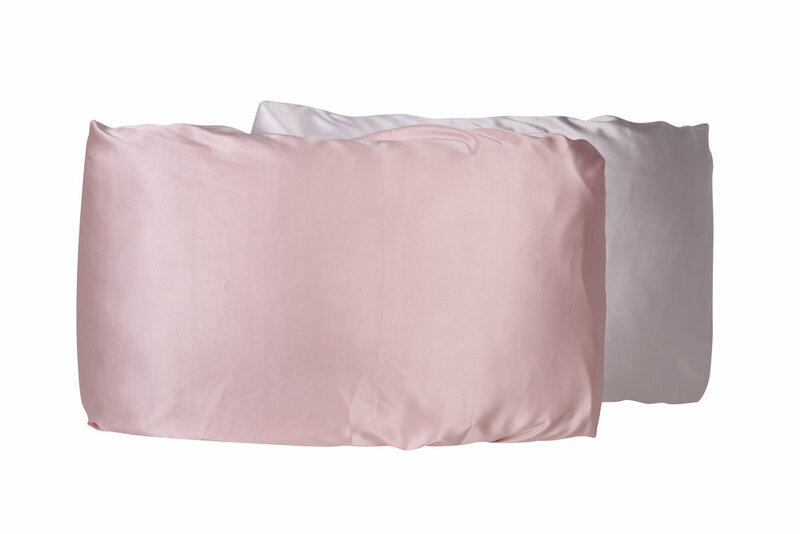 Check out the O So Curly pillowcase as it’s reversible and fits nicely around all sized pillows! Those are my 4 top tips for maintaining curl definition and how I personally achieve the best wash and go style! Stay tuned for more tips on my wash day routine and other favourite products and tools I use.